Stumble Upon is a service that helps you find websites that fit your interests. It uses information you provide to suggest sites that you will find interesting. Also, Stumble Upon will give you links to sites that your friends have recommended. It’s easy to use, you just give sites a “thumbs up” or “thumbs down” to rate them. Stumble Upon uses that information and then when you click on the Stumble Upon icon, it will suggest potentially interesting sites for you. With 10.6 million users, it is a hugely popular community- based surfing tool. Very easy to interact. Toolbar can be placed on your brower. No separate webpage. Establish a reader base for your blog very quickly. Stumbleupon makes tagging easy, so your content is easy to find. You do not need any super technical keyword research. Broad keywords work best. 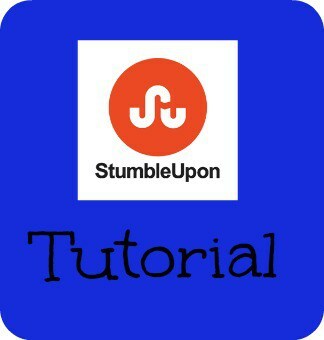 Stumbleupon works best when other Stumble you post so posting your articles that you want Stumbled on our Stumble Tumble Tuesday Linky is a great way of achieving your Traffic goals! Downloading and integrating StumbleUpon is easy! All you need to do is open your browser, choose the download you want, and presto! you’re in business. Go here to choose your browser. Drag this Stumble! button to your Bookmarks toolbar to launch StumbleUpon directly from your browser. No installation required. Once you’ve downloaded the StumbleUpon toolbar, you’ll have stumbling available at the click of a mouse, so easy! Just click the “I like it!” button on your Stumble Upon toolbar and you have stumbled the post. You can stumble just about any type of post! It can be a post that captured your interest, one that made you laugh or a post where you learned something. I tend to stumble posts that I find interesting and that I think will appeal to other bloggers like myself. I have heard through the grapevine that you aren’t allowed to stumble giveaways. Should you stumble your own posts? Yes, you can stumble your own posts as long as you are stumbling more of other peoples and not just your own posts. I rarely stumble my own posts. If you are the first person to stumble a post, please make sure to do a quick review of the post. You need to list the post title, category and a few sentences on what it’s about. It’s a one time only sort of thing so make sure you do it if you are the first one to stumble! Great post! “Can someone explain Stumbleupon?” is a question I keep seeing on community boards, and now I can send them this link! STT is awesome am joining now! thanks for the post…it’s really worth joining.! This is a great tutorial. I need to use Stumble Upon more. Thanks. I’ve downloaded the toolbar and I’m going to give it a try…wish me luck!!! Thanks for explaining how this will work, Stacie. You are allowed to stumble giveaways. They have a category just for that.